Starting in 1986, SwimEx was one of the first makers of swim spas. The genesis of Swimex was a deep understanding of fiberglass manufacturing. They applied this unique knowledge to create a superior swim-in-place machine. Historically, SwimEx focused on the commercial market installing in university programs, sports teams, hospitals and physical therapy centers. In the past few years, they have broadened their focus to include residential installations. SwimEx is known for their superior swim current created by their unique design. While other swim spas use jets or propellers, SwimEx is one of the few swim spa manufacturers to use a paddle wheel. Think of the wheel of a ferryboat on the Mississippi, something similar to this extends the width of the pool to create a broad, smooth current. As part of this design, SwimEx relies on a unique shell to direct and control the flow of water. SwimEx uses a fiberglass shell that can be in one, two, four or eight pieces. When the shell is in pieces, it can be taken into existing spaces and easily bolted together. In April of 2014, SwimEx launched their Triton Swim Spa. The Triton relies on the same fiberglass construction as their other pools, however, its swim current design is very different. Instead of a paddle wheel, it uses an electric motor driven propeller at the front of the spa. 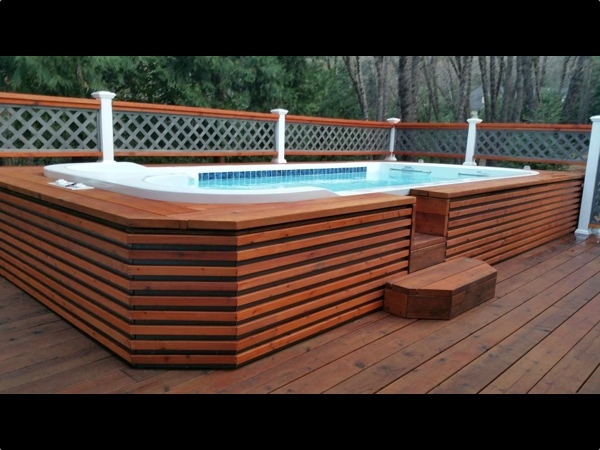 Instead of a rear return grill and channels, it uses 12 VGB compliant intake grills at the front of the swim spa. Both these changes result in a smaller footprint. 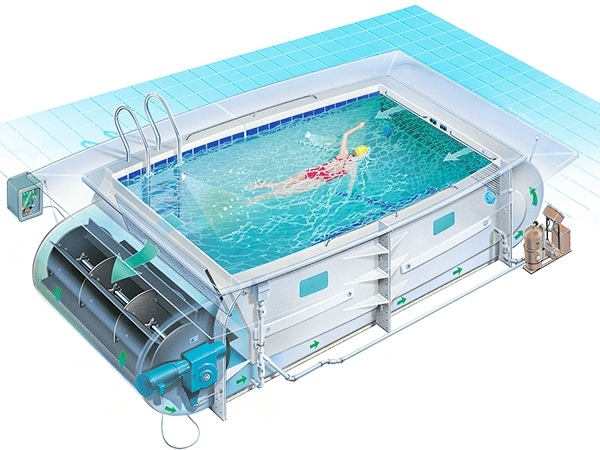 Options for the Triton Swim Spa include an integrated underwater treadmill. 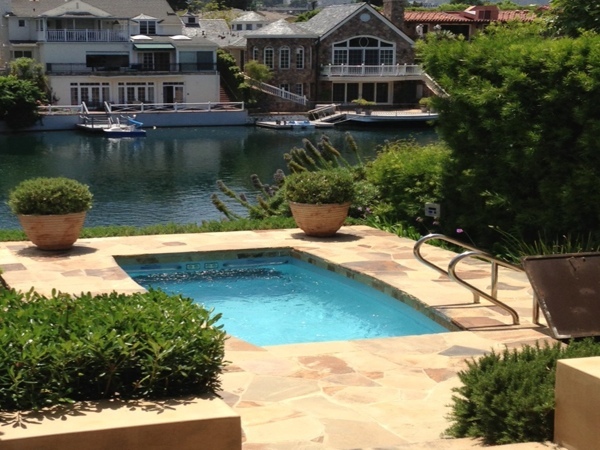 SwimEx is dedicated to building the best swim spa available. They excel in the quality of their construction, the uniqueness of their design, and the high level of personal service they deliver. If you value the quality of the swim current, SwimEx should definitely be one of the swim spa manufacturers that you consider.